We specialise in all asbestos related issues including being able to identify and test for asbestos materials within buildings and maritime. If you are suspicious that you may have asbestos within your premises or just want to be sure, we offer site surveys. HSE and Local Authority Inspectors are already carrying out prosecutions against companies who are not complying with Regulation 4. There is no limitation to the fines and HSE and Local Authority Inspectors will take whatever enforcement action they deem appropriate based on the severity of the problem. To avoid the risk of prosecution, it is imperative that all non-domestic premises have a fully working strategy, together with an implementation timetable in place to demonstrate how they are working towards full compliance with Regulation 4. 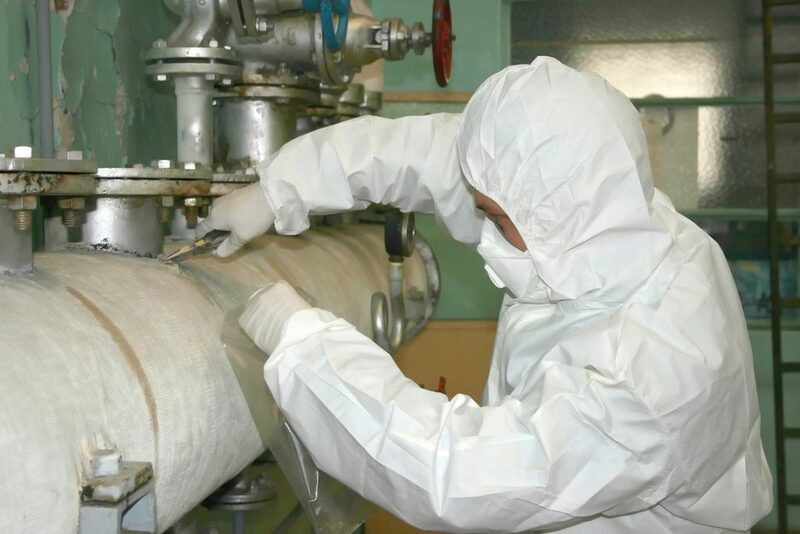 M3 Asbestos Ltd can undertake every aspect of your Asbestos Management and ensure your full compliance to the Control of Asbestos Regulations 2006 Regulation. Asbestos Survey’s fall into three different categories, read more below to find out which one best suits your needs? The Asbestos Management Survey HSG 264 used to be known as a Type 1 & 2 Asbestos Surveys. From early 2010 the Heath and Safety Executive have redefined the parameters and renamed the old Type 1 & 2 surveys to the new Asbestos Management Survey. Tell our surveyor why you want a ‘Management Survey’. The purpose of the management survey is to manage asbestos-containing materials (ACM) during the normal occupation and use of premises. The Survey must locate ACM that could be damaged or disturbed by normal activities, by foreseeable maintenance, or by installing new equipment. It involves minor intrusion and minor asbestos disturbance to make a Materials Assessment. This shows the ability of ACM, if disturbed, to release fibres into the air. It guides the client, eg in prioritising any remedial work. Provide the surveyor with the site layout, building plans, building specifications or architect’s drawings, and any history of asbestos work. Point out your site hazards, including means of safe access to heights. Provide keys, etc. The area should be vacated during the survey. The report should state the asbestos type, location, extent, condition and any surface treatment – the ‘Materials assessment’. The report may comment on priorities for any remedial work. The Demolition / Refurbishment Asbestos Survey HSG 264 used to be known as a Type 3 Asbestos Surveys. From early 2010 the Heath and Safety Executive have redefined the parameters and renamed the old Type 3 survey to the new Demolition / Refurbishment Asbestos Survey. The refurbishment / demolition survey is required where the premises, or part of it, need upgrading, refurbishment or demolition. The survey does not need a record of the condition of asbestos-containing materials (ACM). Normally, a surveyor is needed for refurbishment / demolition surveys. The survey must locate and identify all ACM before any structural work begins at a stated location or on stated equipment at the premises. It involves intrusive and/or destructive inspection and asbestos disturbance. The area surveyed must be vacated, and certified ‘fit for reoccupation’ after the survey. The reports should state the location, presence and extent of asbestos-containing materials and debris. It does not assess the asbestos condition but the surveyor should mention any that is in a dangerous state. The report should state where the surveyor or sampler did not survey or sample. You should presume that areas that the surveyor has not accessed do contain asbestos.